In 1865, the first year Vassar opened its gates to the public, the students formed their first extracurricular organization, the Philaletheis. Created initially as a literary society, then serving briefly as a catchall for student activities, the group's most recent incarnation explores the dramatic arts. Throughout its long history at Vassar, the Philaletheis has inspired the growth of several other student efforts, but few have left as indelible a mark as the original. As the first representatives of Vassar, as well as the first recipients of true higher education for women, the students were faced with the unenviable task of setting precedent. In an editorial published by the students in June, 1866, the uncharted novelty of the students' endeavors becomes clear: "We were all strangers, unclassified and inexperienced in college life. There were no societies, literary, social and athletic, ready to receive us into their membership, without our even pausing to think in what manner or by whom they were organized." Without a model to structure their club after, they did what came naturally to liberal arts students, and formed a literary society. The first president of the organization was Mr. Henry Buckham, Professor of Rhetoric, Belles-lettres and English. Shortly thereafter, President Raymond presided as head of the organization. By the end of their first year, the students took note of the faculty's prominence in their affairs, as one student cautioned in the undergraduate paper Transcript, "We do not mean to insinuate anything about weakness trying to prop itself up with strength." In an effort to change this misconception, the students began seizing positions within the society; by 1868 the entire control of the group passed into the students' hands. In recent years membership has been granted through the simple payment of dues. At the outset, however, the names of hopeful members were submitted to a committee for selection. They were then read at chapel service and decided on by the entire campus. For twenty-five years this process continued, instilling an exclusive sense of pride in the group's growing constituency. It was also decided by the students that their society should be divided into three chapters: Alpha, Beta and Delta. The decision, as described by the Transcript, was reminiscent of the way in which "small boys divide a diminutive apple – to make more of it." This tripartite division was used to encourage competition between the chapters, thereby stimulating growth "through the grand uses of friction." Dr. Knapp, Professor of Ancient and Modern Languages, suggested the name Parthenaeum for the students' group, which harkened back to the Athenian Sisterhood of Maidens devoted to literature. Although the students were fond of the Ancient Greek allusion, they quickly declined the name. In hindsight, a student attempted to shed some light on the decision in an 1897 editorial: "We of the present day especially dislike to have it emphasized that we are merely maidens." Borrowing from Dr. Knapp's Greek theme, the students devised a more appropriate name: Philaletheis – lovers of truth. "We therefore gave her no power-claiming name," one president of the organization remarked in her farewell address, "but one of promise. For the truth is ever growing and expanding; the lover of truth is never incased in an inflexible armor." Truer words could not have been spoken of the group's formative years – they preserved their flexibility by taking on a vast array of duties. Their four major responsibilities included weekly chapter meetings, preparation for their birthday celebration in December, their semi-annual festivities in June (later known as the "Philalethean Address,") and providing the college with its lecturers. The group's pervasiveness in campus affairs drew at least one student's ire, as she noted of them in the Transcript: "Everything here is done by the society (or if they don't do it, they get the credit of it, which is the same thing.)" While Phil continued to thrive on campus, it soon became apparent that the organization was unfit to serve all of the students' extracurricular needs. This fact was most evident in the society's mishandling of lecturer commitments. "The college owes a debt of gratitude to [Philaletheis,]" one student claimed, "for providing a talented set of lecturers, of whom half were kept away by snowstorms, and the other half could not come." They did, however, make one very impressive acquisition during their tenure: America's Transcendentalist darling, Ralph Waldo Emerson. Phil was graciously relieved of their duty as lecture organizers when Matthew Vassar established a fund for this explicit purpose. In 1865, the group vaguely set their parameters by stating their goal was to "improve members through literary and artistic exercises." They consisted of "essays, poems, debates, selections prose or poetical, either read or recited, papers, music, impromptu speaking, dramatic performances, political news and gossip, varied at the discretion of the President." Chapter leaders encouraged their peers to produce works that were "racy, witty, and spiced with common sense." If provoked, one might question the literary value of organized "gossip," but this thought quickly dissipates since most meetings revolved around tableaux, charades, and debate; on occasion, President Raymond would honor the students with a Shakespearean reading. Debating was especially common during the first meetings, though they tended towards abstractions. Some arguments of note included "Do Pride and Ambition Cause More Evil than Ignorance and Superstition?" and "The Comparative Value of 'Yes' and 'No.'" With the advancement of Phil, the chapters began to develop their own idiosyncrasies. Each chapter, Alpha, Beta and Delta, chose a color to represent – red, white, and blue, respectively. At chapter meetings, members wore a yard of ribbon tied in bows with two streamers hanging down, displaying their chapter colors – though they shared a common interest in the growth of Phil, the chapter members were fiercely group-oriented. Through a show of literary prowess, each faction hoped to prove its supremacy. In February, 1866, Beta published a paper entitled Thesaurus. Not to be outdone, Alpha followed suit with Lorgnette in May of the same year. This infighting led to the formation of distinct reputations. The conspicuous absence of Delta from this literary feud led its peers to call them frivolous and immature – "Juvenile Delta, whose joy it is to dance and feast." Alpha's procurement of both Dr. Kendrick and his wife as honorary members led to their perception as old-fashioned and prim. A look at their rival's records sums up their flaws: "Beta pities the antiquated Alpha, whose gaze is never lifted from her own blue stockings." For all its name-calling, however, Beta garnered the most memorable traits. While recording the minutes of a Betan chapter meeting, a particularly wistful secretary took down the proceedings in verse, with lavender ink. For the Betans, beauty always prevailed – even at the expense of detail. Into Room I, lighted with gas. There they listened, as on all such times. Were forced to consider why potatoes have eyes. And elect our officers for the coming year. And, leaving room I, we all went home. In the 1870s a shift began to occur within the society. The chapter meetings began to focus less heavily on essays and debate, even tableaux and charades became less common. In their place the students ran informal farce plays to entertain themselves. In 1869 "The Moorish Captives," an original play was performed during chapter meeting. Weekly meetings were gradually being filtered out to allow the students to focus on theatrical performances known later as the Hall plays, so named for taking place in Society Hall. These plays initially occurred once a semester but eventually ran four times a year. The competition that once existed between the chapters, though still present, had been greatly reduced with such collaborative efforts as the "Queen of Madagascar" at a 1972 Union meeting of Phil members. In 1875, the "Philalethean Address," which hosted student debates, and in later years a guest speaker, was abolished to further fund the students' stage design. To explain the shift, one writer claimed that the previous "programme of essays and recitals," although noble, "was ultimately dull." Despite the popularity of Phil's new theatrical character, there were those that argued for the return of the society's literary tradition. Alumni during the 1880s and 1890s attempted to bring back the original spirit of Phil. They contended that the dramatic productions were less valuable to its members than prose and verse. In the hopes of recreating the fiery competition that once existed between the chapters, Delta was disbanded in 1890 to make way for a new faction – Omega. Omega was later joined by Theta in 1896, but to no avail. The attempt at rekindling old rivalries was doomed from the start; the performance and production of plays required the students' undivided attention and unity. There were also students who felt Phil had moved in the wrong direction. One such student put it plainly in an 1896 Miscellany article: "The question naturally arises, have we time for four hall plays a year, when so many other things are constantly demanding us, and secondly are the plays presented of any value dramatically? The answer to these questions must be that we are pressed for time for four plays, and that the great majority of those who act in Hall plays know absolutely nothing about acting." Though constantly faced with such criticism, Phil pursued its interest in drama, undaunted by its detractors. In 1908 the chapters were officially disbanded in favor of a united organization. After forty-three years of teetering, Phil finally emerged as a full-blown theater group. In comparison to Phil's original goals set in 1865, the 1911 mission statement showed a critical change in attitudes: "To instill into the minds of [Philaletheis] members the principles of dramatic art." To this day, Phil's primary objective has been to perform three Hall plays and two minor ones annually; the third has traditionally been performed outdoors in the spring while the first two correspond with the fall and winter seasons. In 1913, the student productions were moved to the newly opened Students' Building, but the "Hall play" moniker has remained ever since. Over the years Phil has covered a wide spectrum of theatrical performances, from Peter Pan to King Arthur, Shaw to Shakespeare, and most everything in between. The Hall plays have also been host to student pieces, many of which were very well received by the public. In spite of its nay-sayers, Phil's willingness to experiment with new trends and ideas in theatrical production has proven the students' long term interest in drama. Their dedication to the dramatic arts has led to the formation of several other projects at Vassar, most notably, the Vassar Dramatic Workshop. Established during the 1916-17 academic year, the Workshop's main goal was to provide an avenue in which student playwrights could sharpen their craft under the scrutiny of real audiences. As noted in the 1917 Vassarion, the Workshop "produces plays not primarily to entertain, or to educate its audience, not to train actors or producers, but to make possible the writing of better plays." The Workshop was the brainchild of Gertrude Buck, a trailblazing English Professor who helped cement Drama's place in Vassar's academic curriculum. At the time, Drama was not included in any top institutions' curricula – it was cast a tier lower than prose and verse, deemed unfit for its own field of study. 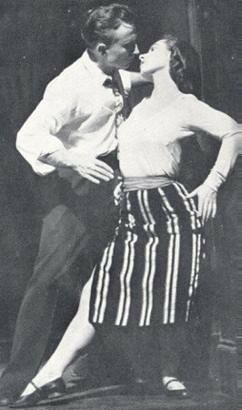 In fact, Drama did not become a legitimate course of study until the 1960s at Vassar. Granted two years of financial backing by Vassar, the Workshop used "the most promising plays" from Professor Buck's play writing course and submitted them to "the test of actual production." Attracted by the prospect of professional criticism, several students submitted their pieces to the Workshop. Most prominent among them was Vassar's own Edna St. Vincent Millay '17, who submitted her one-act play "The Princess Marries the Page." The plays produced this year were performed at different venues across the east coast including the Washington Square Players' Club of New York, the Pittsburg College Club and the Pittsburg Branch of the Vassar Alumni Association. In 1918 the Workshop went in a slightly different direction. Plays were still written and produced by members of Gertrude Buck's play-writing class, but the acting was being performed by members of the Department of English Speech, trained by Miss Cochran. The English Speech Department emerged as an offshoot of the English Major. Professor Cochran, the head of the newly formed department, believed in the spoken quality inherent to literature; the rhythms of speech, the shifting cadence in voice – they form meaning all their own. Years later, this argument would serve as a defense for the spread of Drama departments all across America. With the help of Cochran and her department, the performative quality of literature was finally garnering attention from academics. Although the legitimization of Drama was a distant dream, the English Speech Department acted as its stalwart forerunner. On May 3rd, 1919, the first groups of plays cooperatively hosted by Phil and the Workshop were presented. This venture replaced the one-time minor Hall plays Phil usually put on. Under the auspices of Phil, the best plays performed were rewarded in what became known as the Philalethean Prize Plays. First prize went to Olive Remington '19 for her piece "The Braveness of Him." 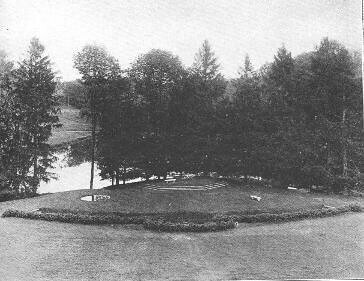 While it was a great success, 1920 was the last year the Workshop would exist as a Vassar enterprise. The following year lack of funds caused the group to leave the college. Their productions continued, however, at a new location in Poughkeepsie – the Vassar Brothers' Institute located on lower Main Street, which provides quality exhibitions in art and theater to this day. 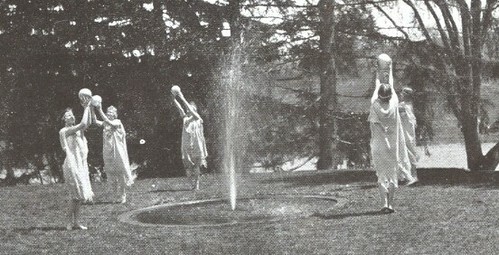 Despite the setbacks, drama continued to thrive at Vassar. In 1920 a new course was offered by the college: Dramatic Production. It was the first class which dealt specifically with the finer points of acting, rather than the literary merits of plays. The class was exclusively open to seniors, and only four from that class were admitted. According to the 1921 Vassarion, their names were Barbara Butler, Edith Meiser, Elizabeth Mohn, and Clifford Sellers. Dubbing themselves "The Vassar Players," this experimental class, under the direction of Mary Cochran, took their performances on the road. The quartet performed in New York, Hartford, Boston, Philadelphia, Chicago, Detroit, and Albany to name a few. The proceeds from their productions went to aid the endowment funds of various alumni associations. In the end, they raised nearly $7500. Their program consisted of three one-act plays: "Aria de Capo," "Two Slatterns and a King," both by Millay '17, and "Jezebel," by Dorothy Stockbridge '19. Despite their limited resources, these four seniors put on performances that were said to "honestly be called professional." The success of these four students undoubtedly did much in the way of showing drama's value to the college. In 1924 a new woman took up the banner for dramatic arts at Vassar. Her name was Hallie Flanagan. After studying with George Pierce Baker's famed 47 Workshop at Harvard, Flanagan came to Vassar as Buck's unofficial successor. Flanagan, like Buck, believed that Drama's performative quality deserved as much attention as its literary aspect. In defense of her stance, she once said "If a student's ideas gush forth as a four thousand word topic on the character of Caliban, we regard it as a legitimate part of the educational process. If, however, his ideas are made visible through the acting of the role of Caliban…we are not sure the process is educational." Under Flanagan's guidance the dramatic surge pioneered by Buck pressed on. Flanagan led Vassar's Experimental Theater, in which several provocative and challenging pieces were performed. One of the first things she changed upon taking control of the drama project was the material performed. Refusing to choose from a tired repertoire of reliable works, Flanagan opted to produce several avant-garde pieces informed by the most recent trends in theater. In 1928 the Experimental Theater performed Tchekov's Marriage Proposal. Retold through a modern lens, Tchekov's classic was presented through three movements in art – realism, expressionism, and constructivism. The audience came "uproariously into constructivism, which in experiment proves to be much in the rhythm of our time," said one critic. Through the 1930s Flanagan's troupe continued to provide original and thought-provoking theater. In 1931 they performed Can you Hear Their Voices? a gritty satire with oblique parallels to America's Great Depression. The play was heralded by many as a bold and necessary statement on political corruption. Perhaps the production's greatest accolade came the following night, when one Poughkeepsie journalist wrote in the Sunday Courier, "If a certain crusading congressman could have seen last night's production he would have probably branded the whole company as dangerous, if not Red agitators." 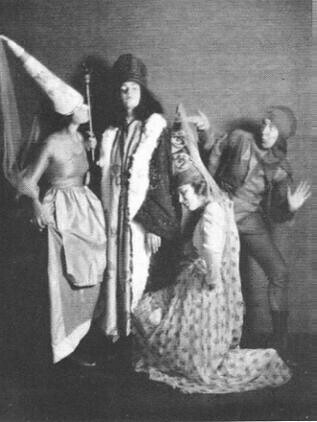 The group put on several more unique plays including Pirandello's Each in His Own Way, 1930 (an American premiere); T.S. Eliot's Sweeney Agonistes, 1933 (a world premiere); Hippolytus in the original Greek, 1931; and Antony and Cleopatra in 1934, with President MacCracken as Enobarbus and Gordon Post, a political science professor, playing Antony. As illustrated by this last production, Flanagan brought another radical idea to Vassar – the inclusion of male actors in her productions. In 1942 Flanagan left the Experimental Theater, but it continued under new supervision. 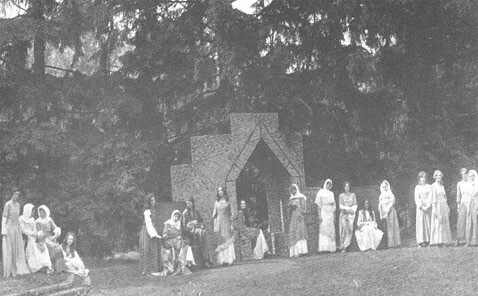 With the rise of the Workshop and Experimental Theater, Philaletheis had lost its claim as the only dramatic club at Vassar. By the 1950s Phil had learned to share its domain by offering aid to the upstart performance group Independent Productions. The group was comprised of students dissatisfied with the rigidity of Hall Play selection, and the formality that surrounded it. They were influenced by two very successful student productions, ran entirely without college sponsorship. The first was celebrated with a three column review in a New York theater publication. The play was titled Lowbrow-Middlebrow-Highbrow, and was performed by a senior for her thesis. That same year, over five-hundred people attended a non-sponsored, semi-liturgical play on the steps of Students' Building put on by a group of sophomores. Both of these projects were organized and performed completely by Vassar students. The group functioned mainly within the greater Poughkeepsie area, seeking venues for their acts. Once word got out, the group was inundated with requests from interested community centers, school and churches. In 1951 Phil added four representatives from the Independent Productions to their panel. During the 1958-59 academic year Phil disbanded after the group failed to recruit new members. Had Philaletheis been the only consistent theater group on campus, their split would have proved devastating for Drama at Vassar. This was not the case, however, since students found new outlets for their dramatic flair. With the continued success of the Experimental Theater and countless other independent productions, drama had clearly become a fixture at Vassar. In recent years Philaletheis has reorganized, reclaiming its seat as the original theater group on campus. Although it no longer presides exclusively over theater, Phil's influence over the years has greatly impacted the rise of its several contemporaries, and in turn, the preservation of Drama at Vassar.